Earlier in August, Rose quit Twitter after receiving backlash over her casting as lesbian superhero Batwoman. 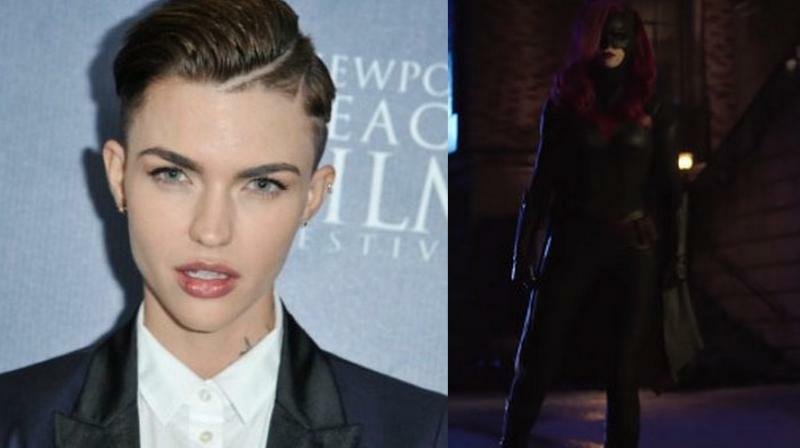 Ruby Rose has made her grand entry as Batwoman in the latest promo of the upcoming crossover event, ‘Elseworlds’. Rose will appear as Kate Kane (aka Batwoman) in The Flash, Arrow and Supergirl crossover event titled 'Elseworlds'. During tonight’s episode of Arrow, The CW Television Network released a new promo which revealed the first footage of Ruby Rose as Gotham City’s red-haired caped crusader. “You don’t believe in Batman?” says Gustin in the teaser, and Oliver replies, “Batman is an urban legend.” And just like that, Green Arrow (Grant Gustin) and Cisco (Carlos Valdes) meet Batwoman for the first time! Back in October, we got the first image of Rose donning the iconic Batwoman suit. Rose wrote online that she was happy her character would be open about her sexual orientation, saying, "The Bat is out of the bag and I am beyond thrilled and honored. I'm also an emotional wreck.. because this is a childhood dream. This is something I would have died to have seen on TV when I was a young member of the LGBT community who never felt represented on tv and felt alone and different."